Imagine Catherine Cookson writing a story set in the year 2012. This would best describe Christian and Arabella. They were from two different worlds. Christian would do anything to win Arabella’s heart but most of his attempts were intercepted by the cruel Randy and life itself. Arabella seemed on a downward spiral and life for her was filled with one heart ache after another. Christian never lost hope and never stopped loving her to the point that it would cost him everything. If ever there was a tale of true romance and the power of one man’s love, this is it. “Help, somebody help me!” he yelled, but no one seemed to take a blind bit of notice. 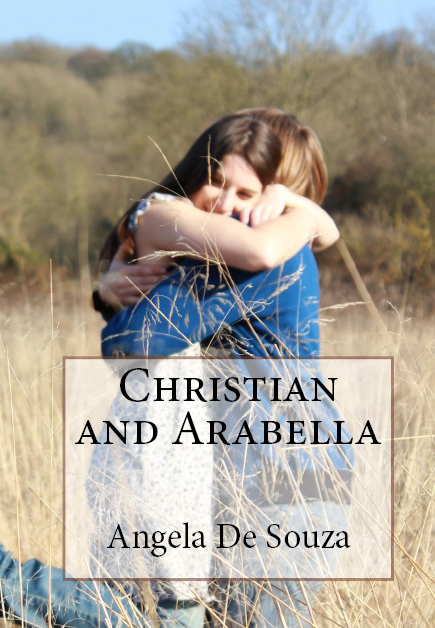 Even though I don't read fiction I thoroughly enjoyed reading Christian and Arabella. The story is deep and close to reality. It does show how easy it is to have your life turned upside down by one single moment. The book describes the story of a respectable young girl who finds herself trapped in a wrong environment with bad influences making poor assumptions – snares that can easily tangle you in a web of lies. Christian and Arabella will surprise you as it reaches its climax. The scenes are painted graphically, without reserves. Despite the insurmountable hardships experienced by the main character Christian and Arabella is a story of intense love. Love that we all dream of, love difficult to fathom but easy to long for. Christian and Arabella shows that there is light, there is hope, there is a life worth living.